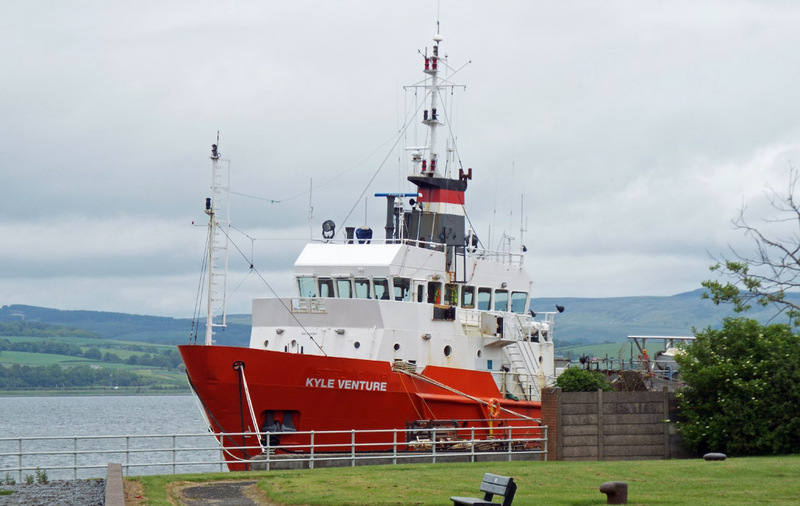 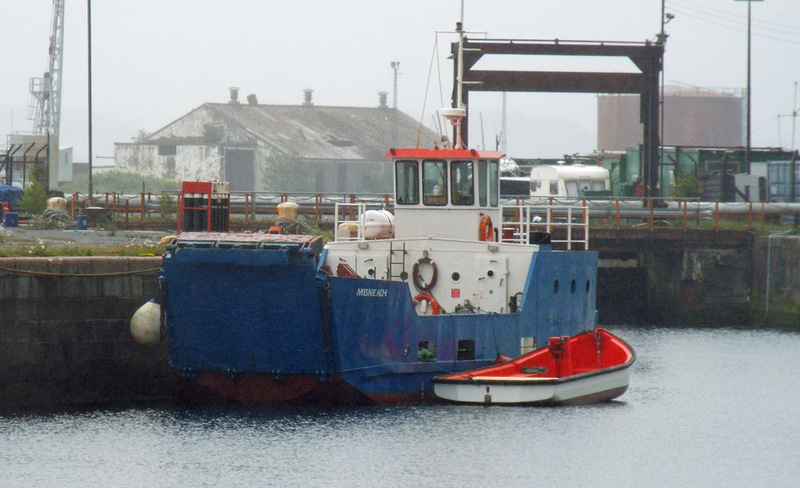 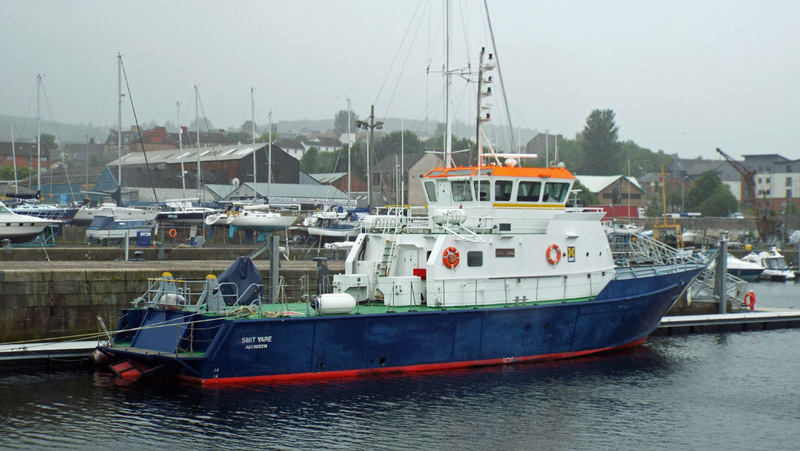 Kyle Venture's AIS (ex Grampian Falcon) is operating again as her conversion to live fish carrier at Ferguson's nears completion 29 June 2015. 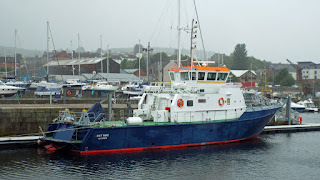 Misneach has moved, but not very far! JWD 29 June 2015. 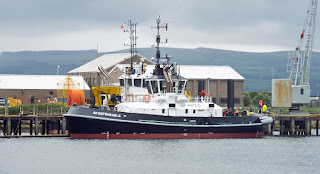 Marine Scotland's FPV Minna in JWD 29 June 2015. Serco's Damen tug SD Dependable in Great Harbour 29 June 2015.